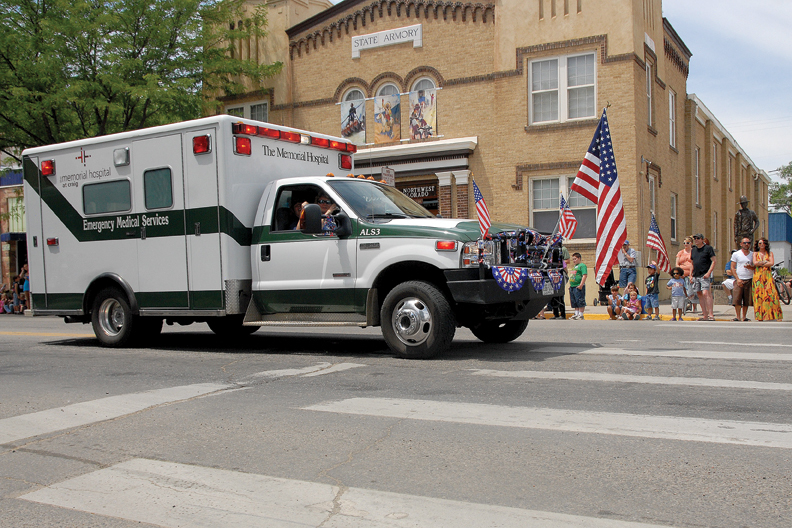 An ambulance from The Memorial Hospital in Craig passes by the Museum of Northwest Colorado as part of Craig's Fourth of July parade in 2011. CRAIG — The Moffat County Board of County Commissioners on Tuesday approved an agreement with Colorado Northwestern Community which will allow the college to use a working ambulance to train students in Emergency Management courses in exchange for storage of the ambulance at the college. The newest training ambulance is fully functioning and includes the up-to-date technology EMS students will use once they are working in the field. In April 2017, Memorial Regional Health donated a decommissioned ambulance to the program, but MRH removed the medical equipment from the vehicle to equip the newer ambulance that replaced it. Like CNCC’s EMS students, this ambulance will go to work. The ambulance won’t be responding to 911 calls, but it will be in service for use by the county EMS reserve program. The reserve, which is made up of EMS providers not affiliated with a 911 program, will use the vehicle to respond to disasters, act as stand-bys during community events and conduct transports. The ambulance will also provide field experience for members of the EMS reserve, which are often students who have earned their EMS credentials but do not meet the age requirement to work for a 911 program. EMS jobs typically require personnel to be older than 21. In addition, ambulances used for emergency calls can’t be held up by training programs. The county paid 10 percent of the cost of the ambulance and equipment. A state grant paid the rest. All this, Soos hopes, will draw people to CNCC’s EMS program and create more local first-responders. “I think one of the parts where we’re lacking is that we need more homegrown EMS personnel to get that program to the best it can be,” he said. The EMS Reserve Program is always looking for more members, he added. • During audience comments, a local high school student gave the BOCC details about “Inspire to Grow,” a free youth leadership summit for youth in grades 6 through 12. 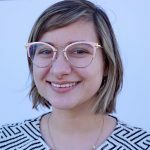 The workshop will be held from 9:30 a.m. to 3 p.m. Saturday, April 7. Registration for the workshop begins at 9 a.m.
• Commissioners approved the county’s Annual Operating Plan for Wildland Fire Management. • Commissioners approved resolutions for payment and transfer of payroll warrants.